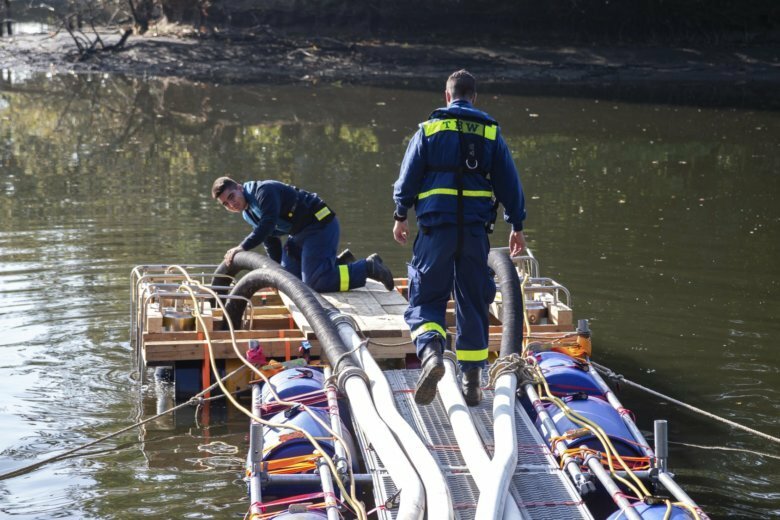 BERLIN (AP) — Police in northern Germany have started to pump dry a lake hoping they’ll find the remains of a woman who disappeared 25 years ago. The German news agency dpa reported Sunday that emptying Tietjensee Lake near the city of Bremen would take several days. After that, investigators will look through the muddy lakebed for evidence. Jutta Fuchs, a young German mother, disappeared in 1993. A year later, a fisherman found a bag with stones in the lake that also contained personal items from the woman including her engagement ring, but divers were never able to find the woman’s body. Her boyfriend at the time is a suspect but has denied the allegations. Fuchs supposedly wanted to take their son and leave him. A Bremen court has reopened the case.